I had a slow start at the beginning of the month when it came to reading, but I ended up finishing my two picks for the month of March with a week to spare. I read The Immortalists by Chloe Benjamin and Tiny Beautiful Things by Cheryl Strayed. Both books I would highly recommend. Cheryl Strayed is one of my favorite authors so I had little doubt that I wouldn't love Tiny Beautiful Things and The Immortalists kept me wanting to know what was going to happen next throughout the entire book. What did you read this month? How would you choose to live your life if you were told the exact date that you would die? This is the question that the four Gold children are faced with after seeing a physic in 1970s New York. The book is broken out into 4 sections - 1 for each sibling as you follow their lives (and their deaths). The author did such a great job at creating such vivid personalities for each of the four main characters you almost feel like you could personally know them. I couldn't put this book down, especially the closer I got to each ending of a section. 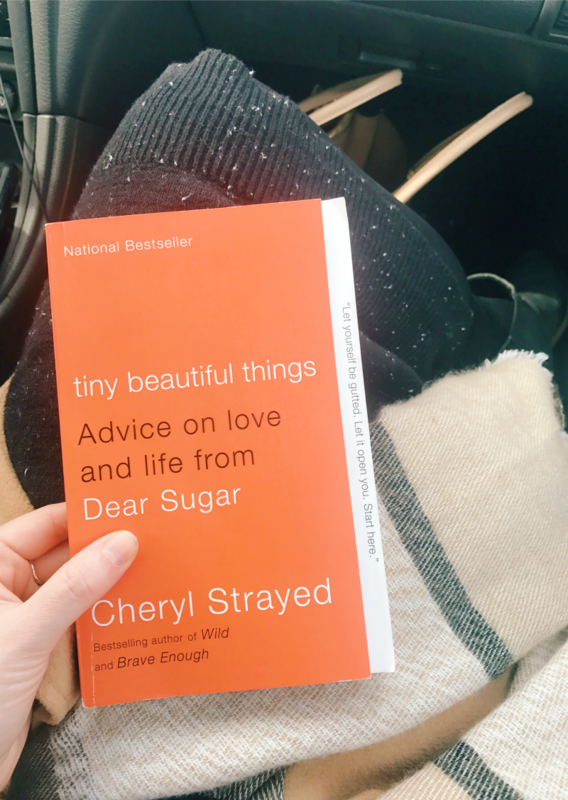 Cheryl Strayed is the voice behind the advice column, Dear Sugar. This book was a compilation of various letters/responses sent to Dear Sugar. Cheryl Strayed answers each letter with such honesty it could split your heart into two. I don't remember the last time that a book made me cry but this one made me cry multiple times. The letters themselves were heartbreaking and the responses were full of hope and Strayed went into details about her own personal encounters that related back to what was sent to her. This book will break your heart but it will also give you hope and it's a reminder that we can make it through anything. "Nobody will protect you from your suffering. You can't cry it away or eat it away or starve it away or walk it away or punch it away or even therapy it away. It's just there, and you have to survive it. You have to endure it. You have to live through it and love it and move on and be better for it and run as far as you can in the direction of your best and happiest dreams across the bridge that was built by your own desire to heal." My two April book choices include Girls Burn Brighter, a debut novel by Shobha Rao which is supposed to be absolutely heartbreaking but a realization at what women from other parts of the world have to endure. The other book I'll be reading is The Big Life by Ann Shocket. The book can be summed up by it's entire title, The Big Life: Embrace the Mess, Work Your Side Hustle, Find a Monumental Relationship, and Become the Badass Babe You Were Meant To Be. What will you be reading in April? Thank you for the recommendations. 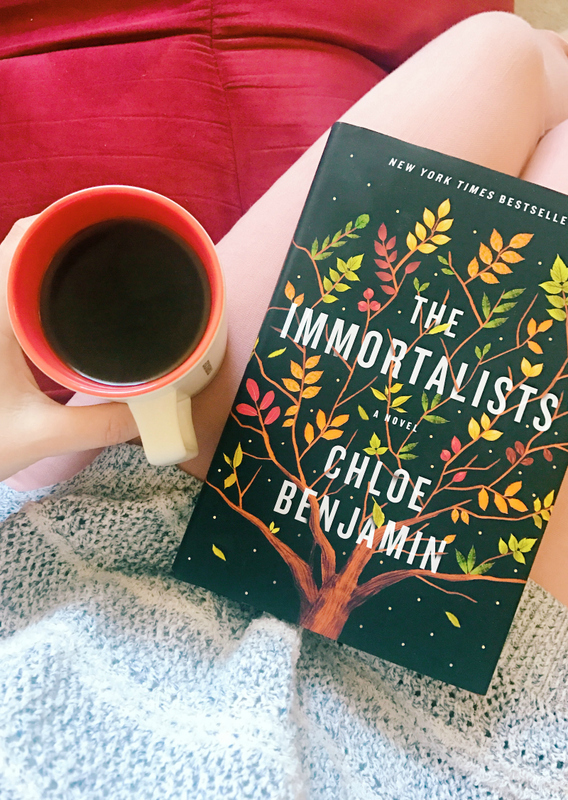 The immortalists sounds very interesting. I will definitely check it out! Ohhh I'm always looking for new books to read and this sounds like such a good one! Definitely adding to my list to check out from the library. Thanks girl! Going to have to add these to my reading list. Oh my gosh, that Immortalists book sounds so interesting!! I definitely need to check that out.